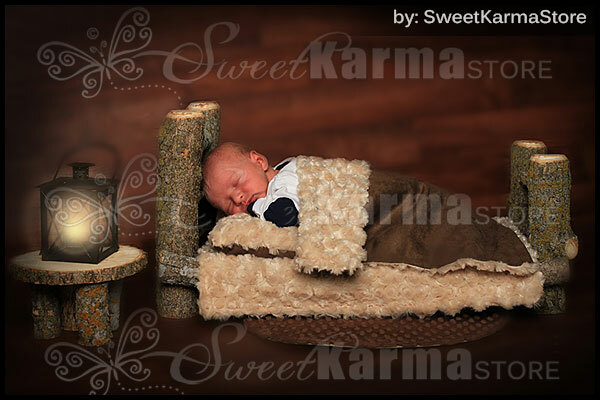 A real wood physical newborn log bed photgraphy prop with a matching nightstand end table, lantern, and 3 piece bed set. Each piece is custom made, will not be "exactly" as pictured as each is unique. Unique hand chosen, quality treated Box Elder wood and assorted wood chosen for texture. 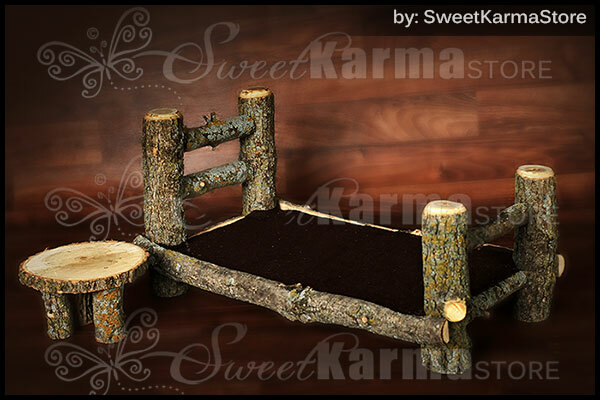 1 Newborn Log Bed approx. 23" long x 14" wide x 12" tall and is shipped fully assembled.